Preparing fresh wholesome food for your family doesn’t have to be hard! 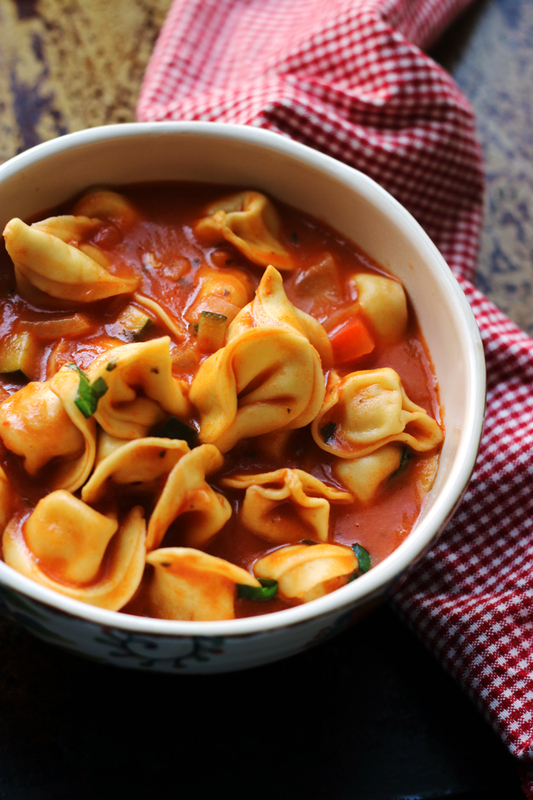 This 6 ingredient one pot tortellini primavera soup is filled with vegetables and so easy to prepare – it’s a dish the whole family will love. We’re talking big bowls of back-to-your-roots, just plain good wholesome food today. And we’re only dirtying one pot as we do it. Mostly my husband who stood over the sink in disbelief, eyes scanning the rest of the kitchen trying to figure out where the rest of the dirty pots and pans must be hiding because he knows I cook like a tornado passing through. This time there was dinner on the table before ungodly hours of the night. It had vegetables. So. Many. Vegetables. Remy ate more tortellinis than I can count on one hand (which for an almost-9-month-old is pretty good). AND DID I MENTION THERE WAS ONLY ONE POT TO CLEAN. Okay, I’m blowing your mind right now, so can I tell you my secret? Buitoni’s line of no GMO, freshly made, clean label, vegetable-infused pastas and sauces. Making dinner just got so easy. 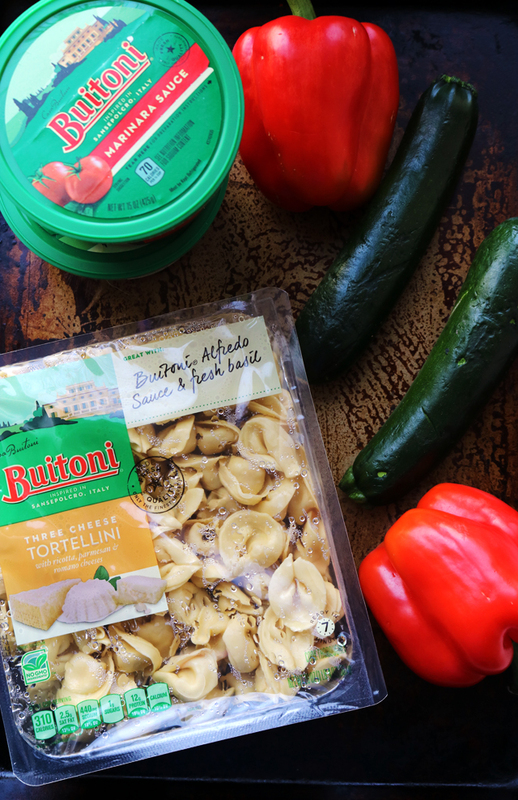 Being Italian, I am pretty critical of anything having to do with pasta so I really appreciate the effort that Buitoni has put in to creating a fresh, quality experience for families at dinnertime. I’m no stranger to cutting corners just to get food on the table (be honest – we’ve all been there) but with Buitoni’s products I don’t have to sacrifice my (absurdly) high standards in order to do so, allowing me to quickly and easily get meals on the table that I’m proud of. 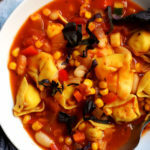 Their tortellini taste so fresh and, even though I used the three-cheese version in this recipe, I love that there are options with veggie fillings that I can choose if I so desire. And then there’s the marinara sauce. I’m really not sure I’ve ever had a packaged marinara sauce that impressed me so much. Don’t get me wrong, I love me some good tomato gravy simmered on the stove for 6 hours, but I also really love that I can open up a container of sauce that’s seasoned perfectly and make dinner in 30 minutes or less. First, you break out your Dutch oven and saute your favorite vegetables. Mine just happened to be zucchini and bell pepper today (I have a rotating list – there’s too much veggie love in my heart to have favorite favorites), but I’m thinking broccoli, cauliflower, and carrots could also get along really well with this motley crew. Then, you pour in a whole lot of Buitoni’s awesome fresh marinara sauce along with vegetable broth and a touch of heavy cream. Simmer to let the flavors develop and the veggies soften even more. 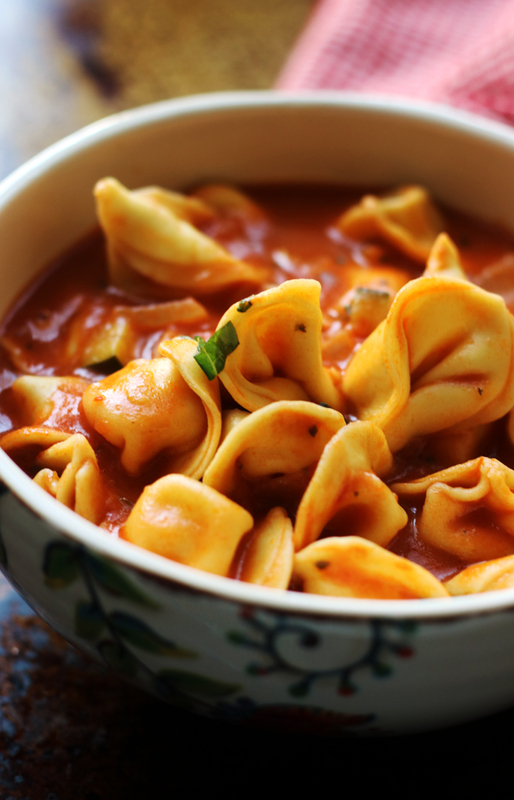 Add the tortellini of your choice. Simmer more to cook the pasta. And did I mention the ONE POT there is to clean?! Happy, full, tortellini-filled disbelief. Aka the best kind. 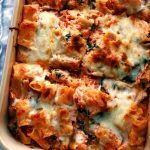 Preparing wholesome food for your family doesn't have to be hard! 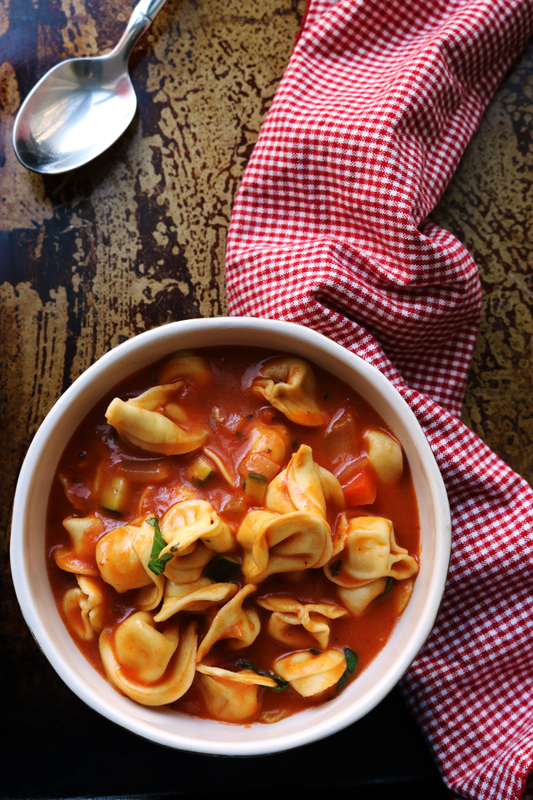 This 6 ingredient one pot tortellini primavera soup is filled with vegetables and so easy to prepare - it's a dish the whole family will love. In a large Dutch oven, heat the olive oil over medium heat. Once shimmering, add the zucchini and red bell peppers to the pot. Saute until tender, about 5-7 minutes. Stir in the marinara sauce, vegetable broth, and heavy cream. Increase heat to high and bring to a boil. Reduce heat and simmer for 20 minutes. 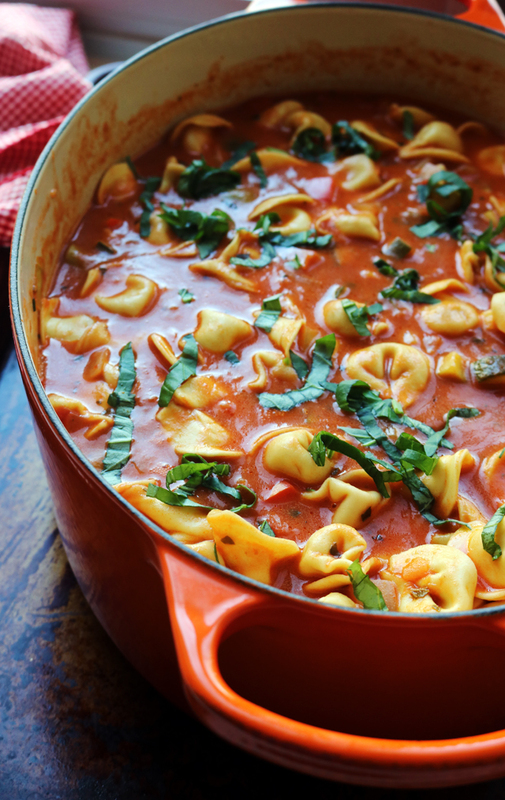 Add the tortellini to the pot. 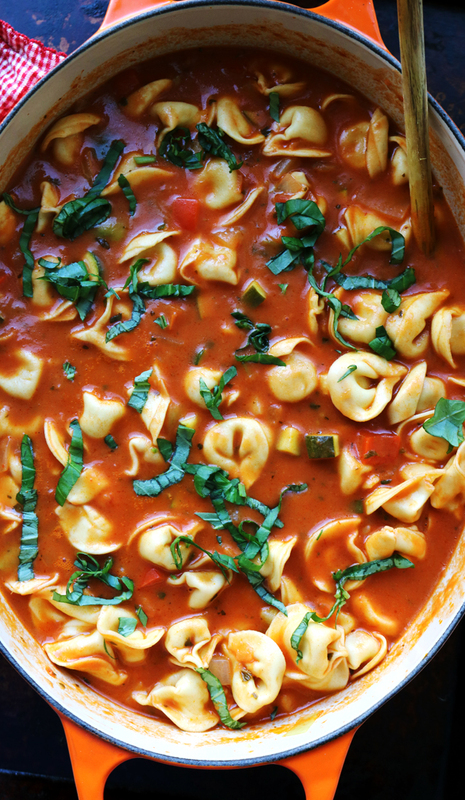 Simmer for an additional 10 minutes or until tortellini is cooked. Season to taste with salt and black pepper. I feel like all my soup recipes are one pots. Probably why I like making soup so much. Simple. Hearty. Healthy. Tasty. My kind of soup! I practically dove through the screen to get at this! it looks SO good! Yum, this soup looks awesome! 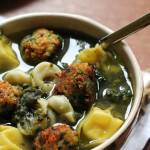 Love tortellini! 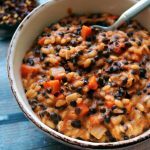 Ever since the baby, one pot has been my savior. I love this!! !